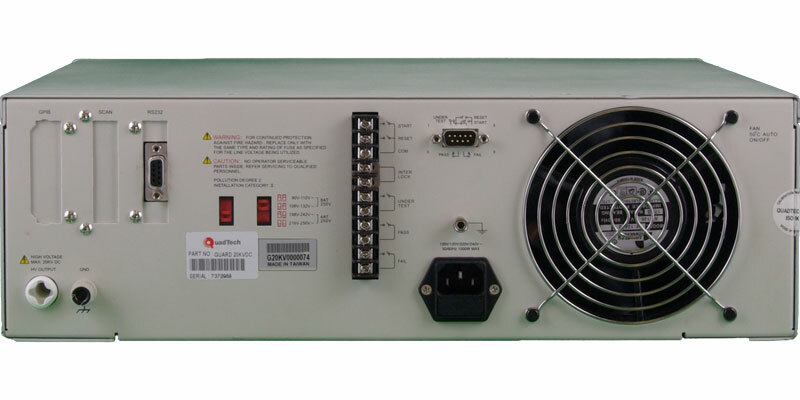 Guardian 20KV | DC Hipot Tester | QuadTech Inc. In all cases, both high and low limits are operator programmable for quick, and easy pass/fail testing. These dual limits are essential to ensure that the device under test is actually making contact with the tester. For consistent testing, up to 50 setups can be stored in instrument memory for later recall. 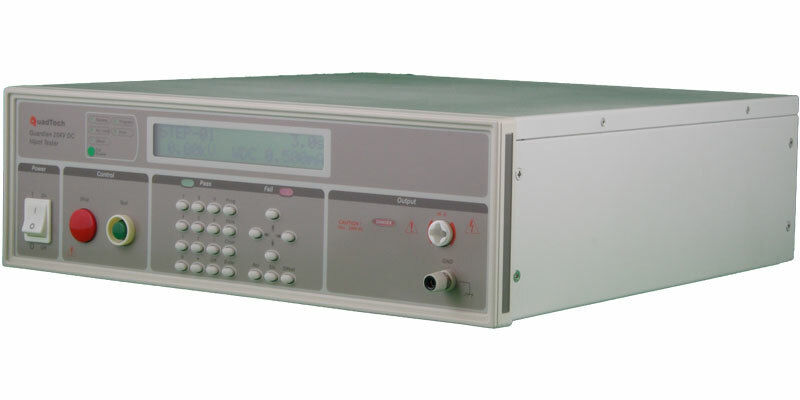 An optional high voltage scanner is also available for testing multi-connection devices. The Guardian 20KV can be incorporated into an automated manufacturing environment with remote start and GO/NOGO results output through the rear panel PLC interface.